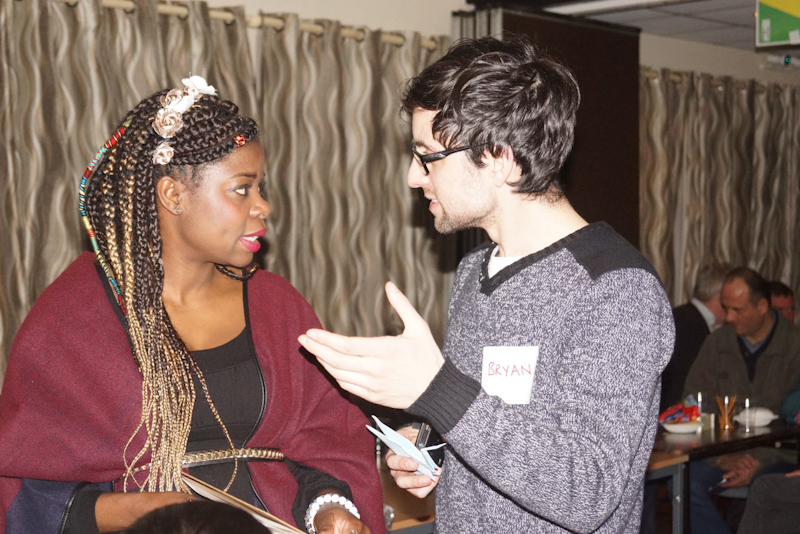 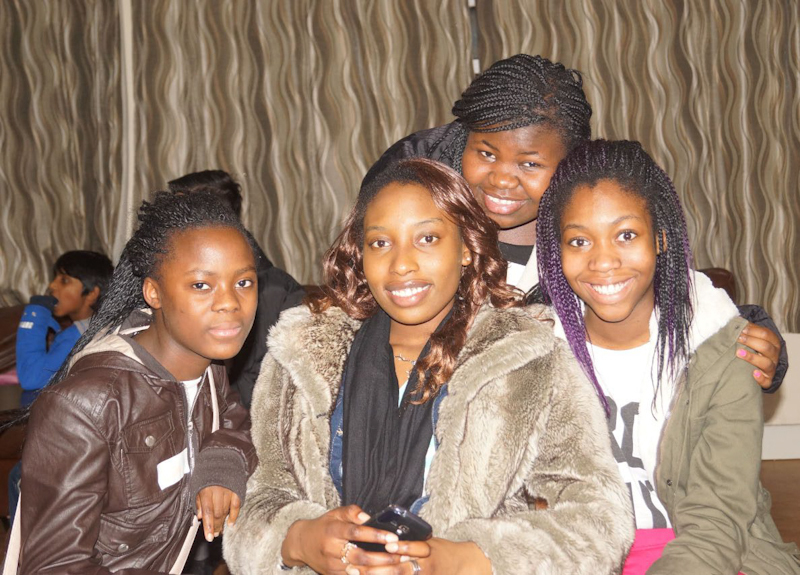 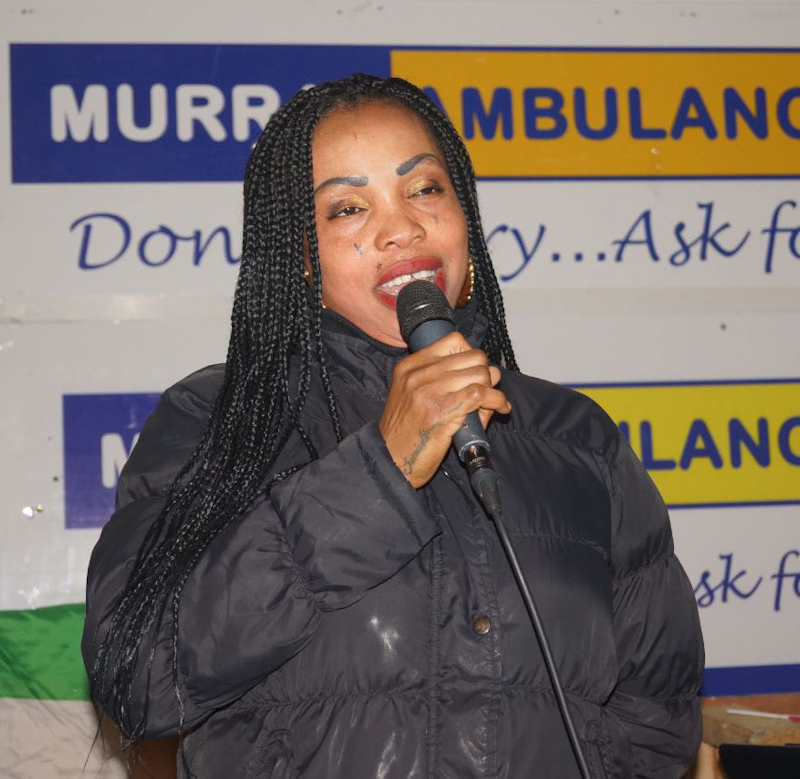 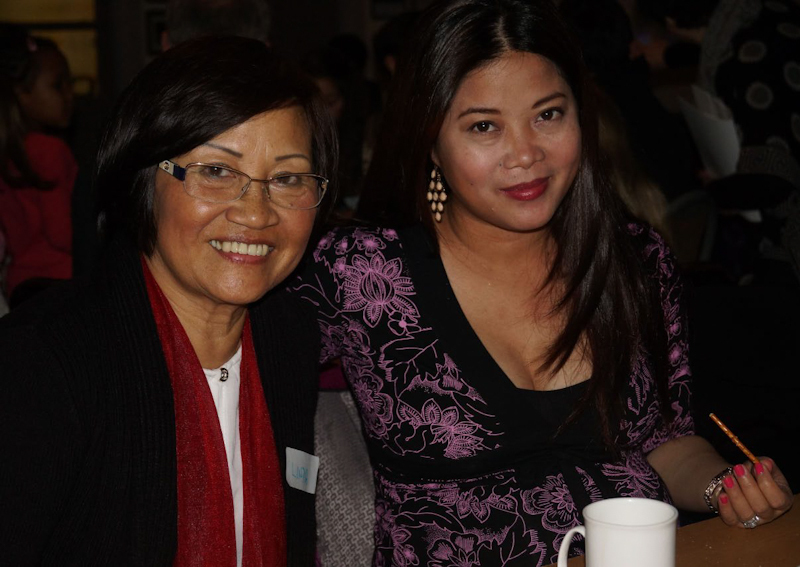 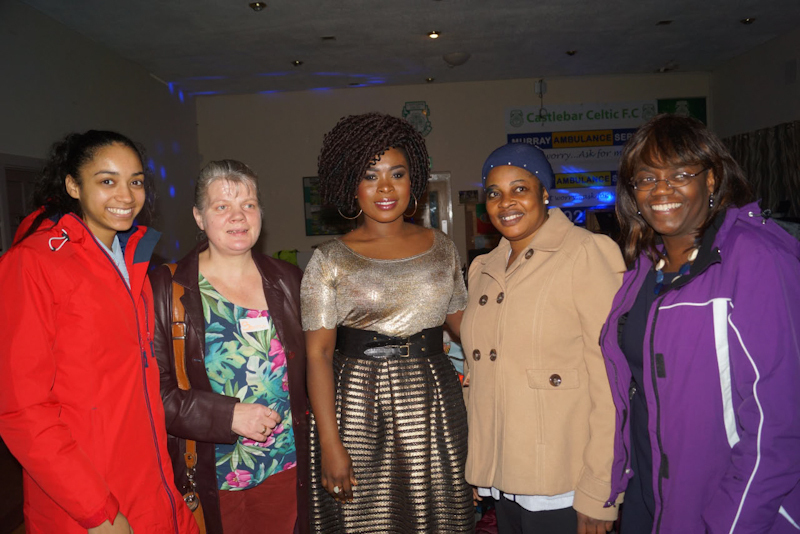 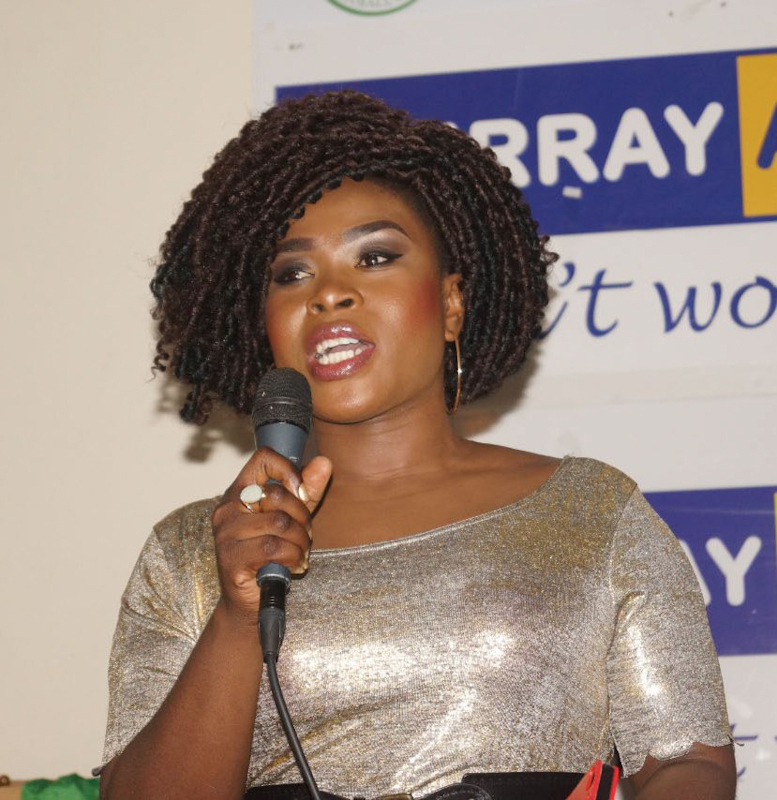 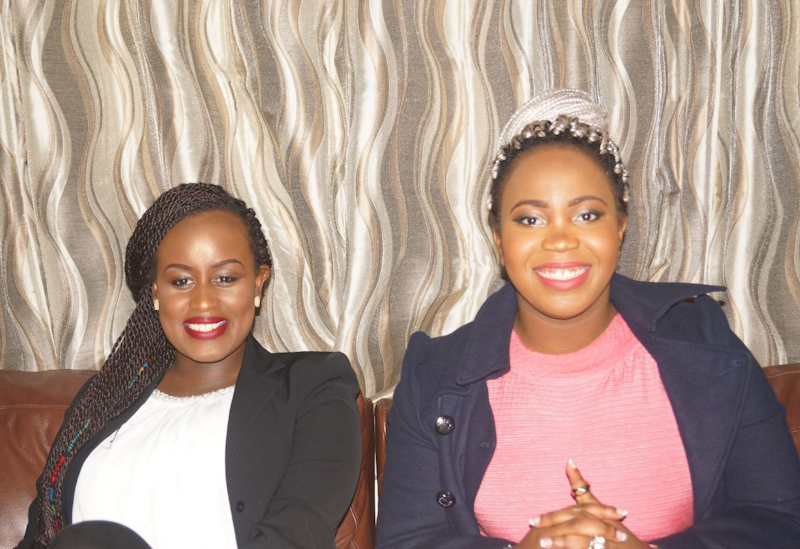 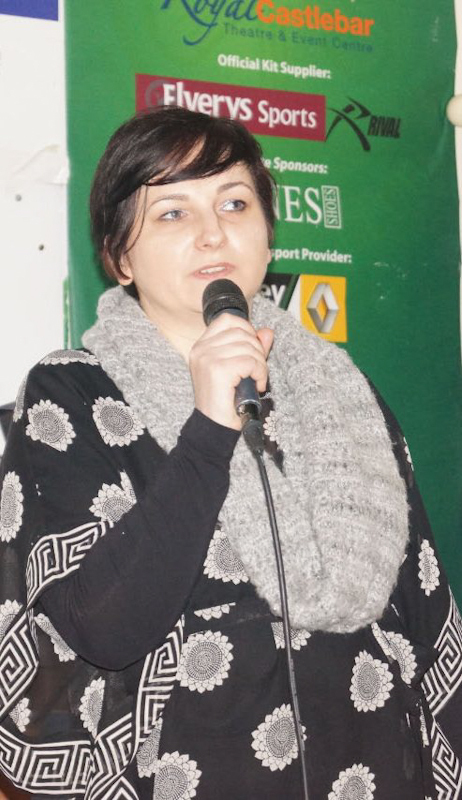 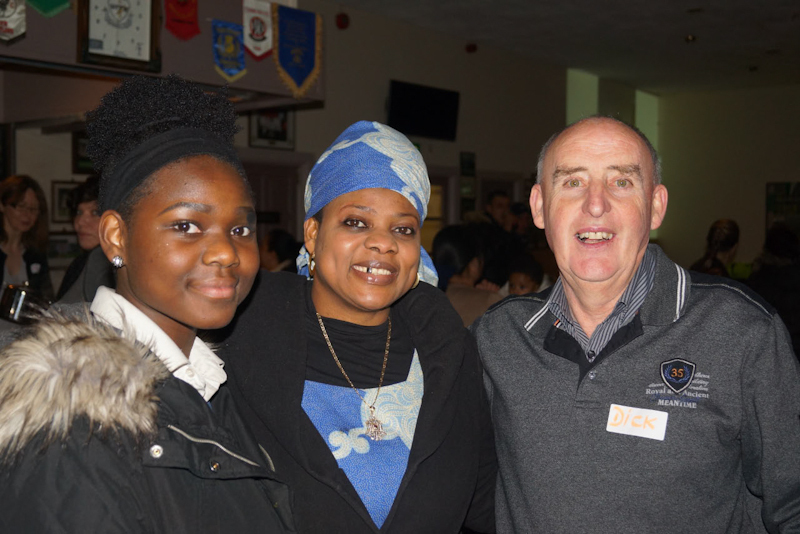 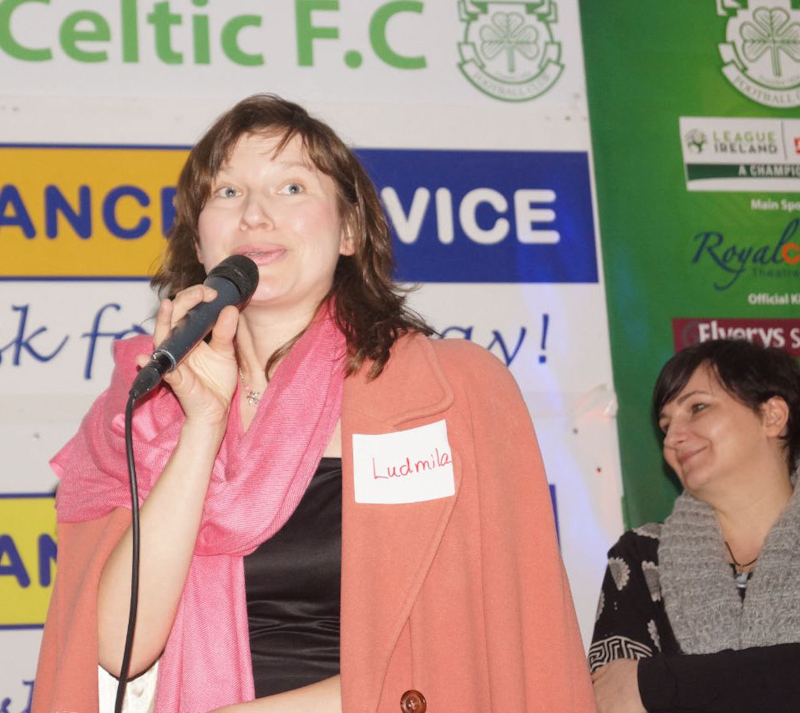 Mayo Intercultural Action (MIA) held its annual festive season party on the 22nd January. 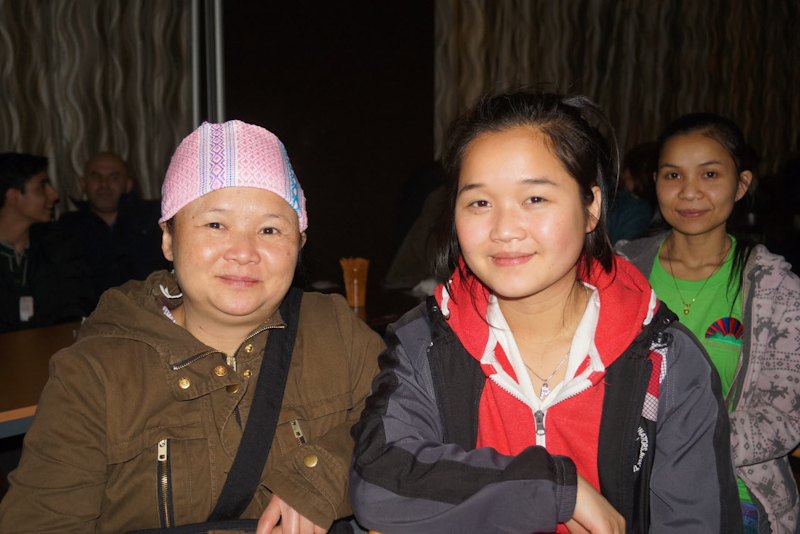 People from different countries and cultural backgrounds came to celebrate New Year and world traditions associated with this season. 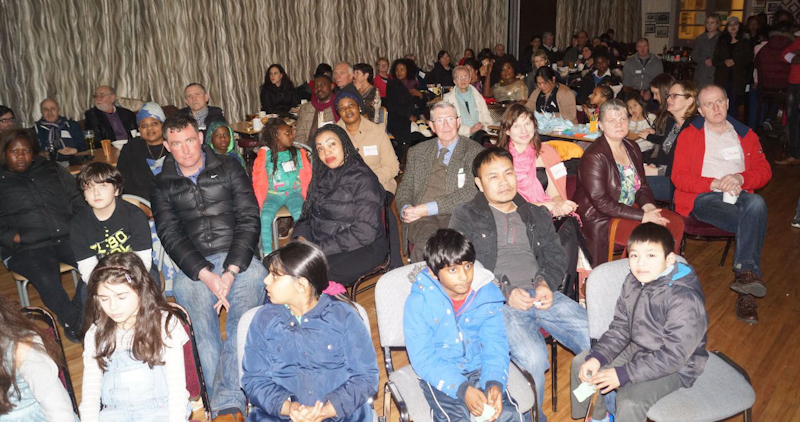 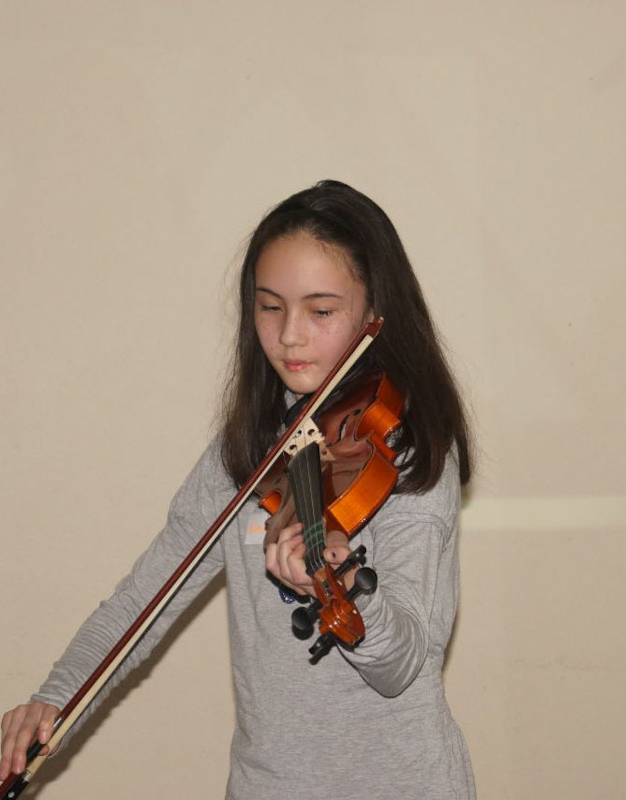 Over 60 people attended the event to catch up, to enjoy singing and dancing from different countries, to meet people from all corners of the world, including Iran, Latvia, Philippines, Latvia, Indonesia, Nigeria, Congo, Russia, Cape Verde, Poland, among others. 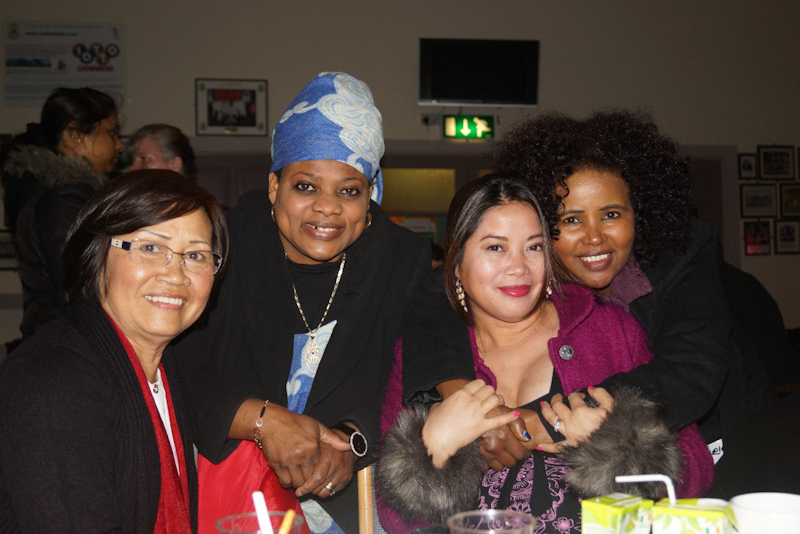 The event started with screening of the film ‘Migrant Women: Shared Experiences' which features seven immigrant women from Mayo now showing at the National Museum of Ireland - Country Life, Turlough, along with the temporary exhibition until June 2016. 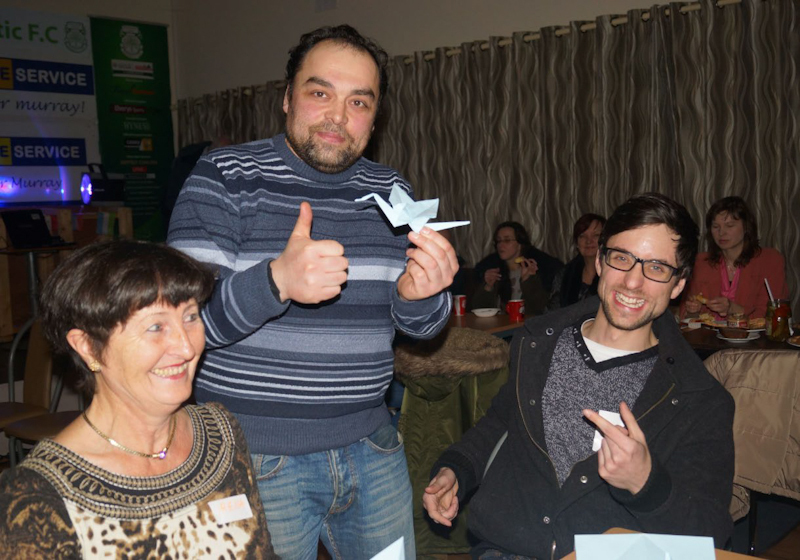 People had an opportunity to make an origami crane to show their support to people who are forced to leave home and are part of the ongoing refugee crisis to contribute to the project Give Your Voice Wings by the Museum. 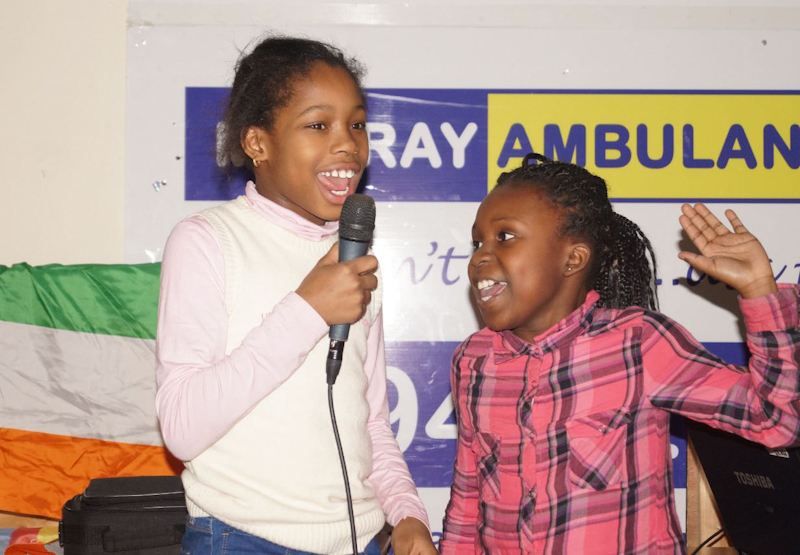 MIA's outstanding volunteers were given recognition of their ongoing commitment to MIA and its mission statement, particularly Bryan Duffy, young artist from Mayo, who runs an on-going project to break the Guinness World Record and create a biggest in the world ball of cellotape with the underlining idea to highlight the appalling issue of Direct Provision system in Ireland. 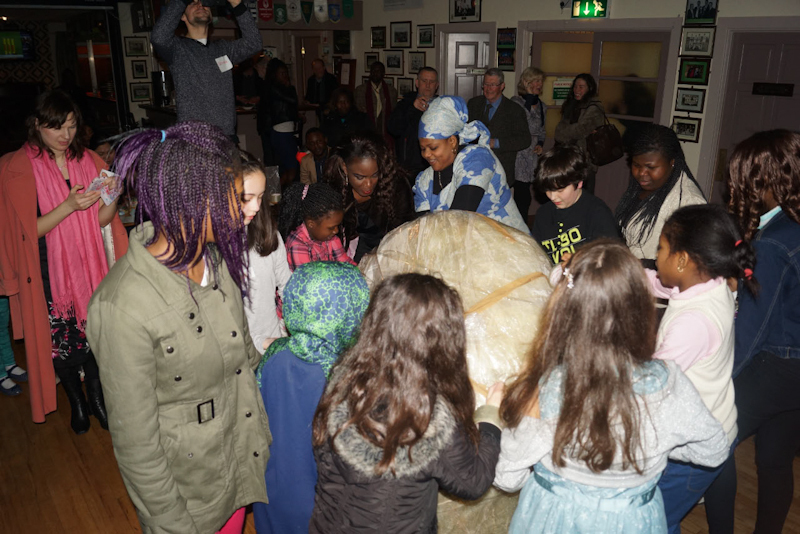 Adults and children attending the event, including those from the Direct Provision Centre in Ballyhaunis, had the opportunity to roll around the cellotape around and contribute this remarkable initiative. 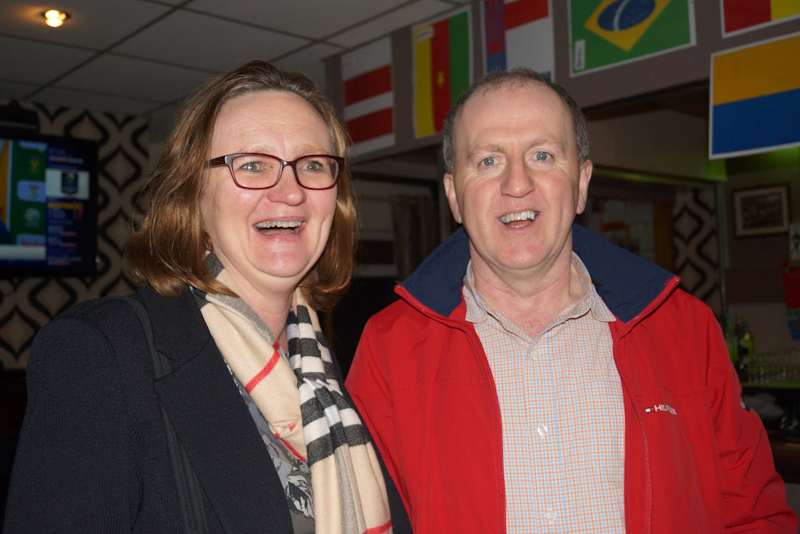 MIA is grateful to local businesses and individuals who offered help and donation for raffle, including Castle Bookshop, Eason and O'Donnell's Pharmacy.